There are two groups of birds that especially test the skills of photographers, the black ones and the white ones. While it's not difficult to actually take photographs of them, to show any plumage detail is. On the weekend I visited the Sorell Waterview Sanctuary, which is undergoing a clean up. It's difficult to find any shorebirds there these days, excluding the ubiquitous Masked Plovers. 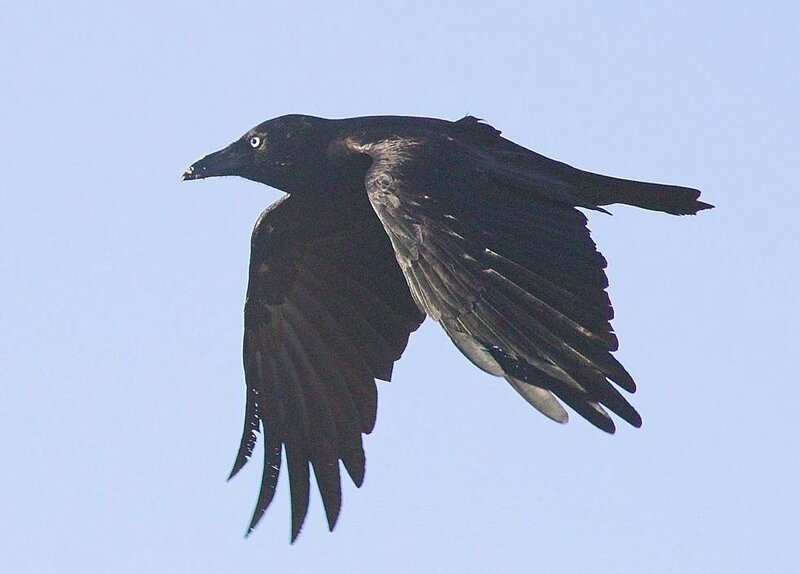 However there is no shortage of Forest Ravens, drawn in by the chicken factory. I would estimate that there were at least 200, and it was these that drew me there. I've tried several times to get shots of them in flight, but like the apocryphal story of crows and the farmer's gun , getting close enough to photograph them is difficult. 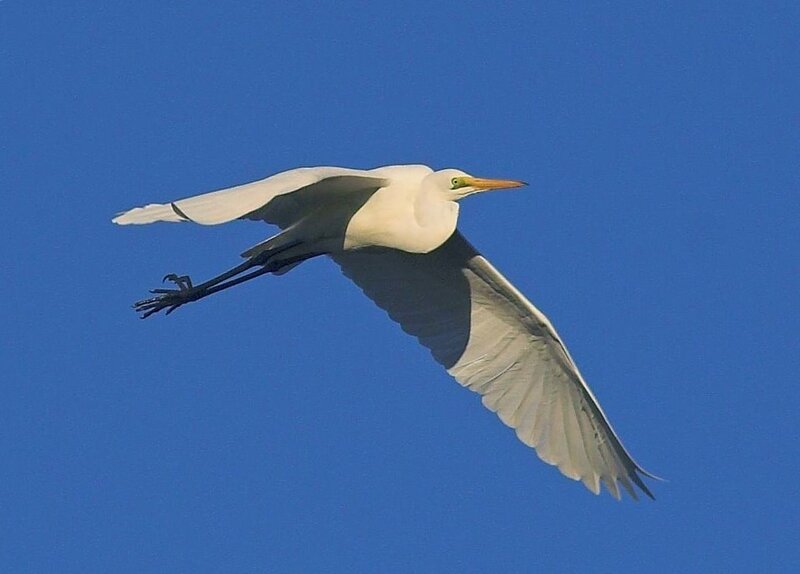 Before I'd started trying to get to grips with t he ravens, an obliging Great Egret flew past, not once but twice! White birds also present a problem for photographers and over exposing the shots make it difficult to get any detail in the plumage. I was lucky as the egret flew past towards the early morning sun. Feeling that at least I had some shots to show for my morning, I turned my attention to the ravens. Black birds present a problem getting plumage detail, but in this case, overexposing shots is necessary. Not so lucky there! They were very wary, but I did manage the accompanying shot, but not quite the standard I was looking for. I shall return! I know what you mean about black birds and white birds, but the worst of all are black and white birds. Trying to retain detail in the highlights and the shadows in a pied oystercatcher or magpie is an exposure compensation nightmare! I usually aim to keep highlight detail, because the shadows can usually be salvaged with a bit of photoshop work. A polarising filter can help a bit, also shooting in slightly overcast conditions as opposed to bright sun makes it easier.